Remember 5.1? Psh, old news. 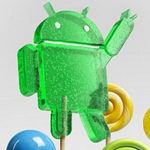 The new hotness is Android 5.1.1, which Google has yet to officially acknowledge. However, it's almost a certainty now that two builds of the software have popped up on Google's Android audio latency info page. 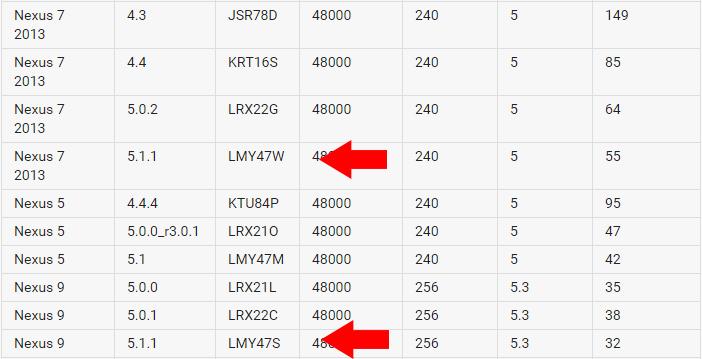 The builds are LMY47S for the Nexus 9 and LMY47W for the WiFi Nexus 7 2013. Both of them have a build date of February 16th, but we don't know if these will be the exact builds to roll out to devices. The Nexus 7 has already gotten an Android 5.1 update, but the Nexus 9 is still waiting. It's actually the last Nexus device stuck on Android 5.0 more than a month after Google announced 5.1 was a thing. The presence of Android 5.1.1 on an official Android.com page (and presented as legitimate data points) means we can't be far from an official rollout. Hopefully the Nexus 9 will finally get the fixes it so desperately needs.